Tremendous overall eye appeal and presentation for the issue. Beautifully framed with four mostly square corners and nice all around surfaces for the issue. Perhaps the best '4' we've sold in recent times. 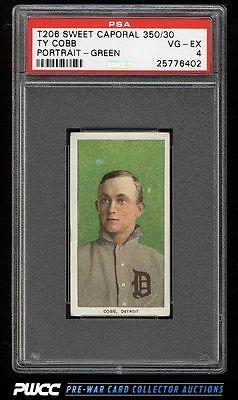 Part of a tremendous assembly of T206's on the auction block this month. One of nearly 17,000 cards, lots, and sets up for bid in our 8th Auction of 2016. Click on the link above to view the other PWCC auction lots.